Always the first thing we have to do when we arrive in a new country is sort out our mobile Internet. What is the best sim card solution for Bali? 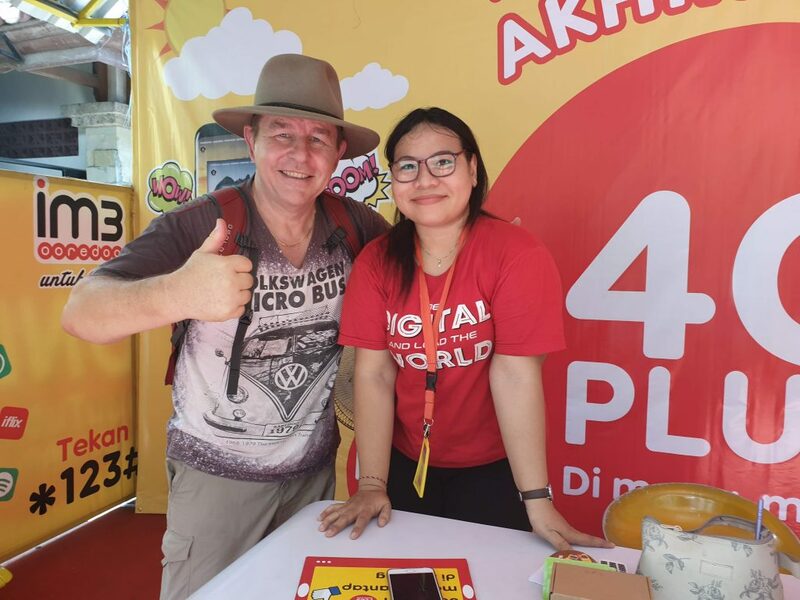 We ask the locals and, with a little help from ‘Google’, eventually get directed to the Indosat Building which turns out to have a mobile sim card kiosk in front of it. A big thank you to Endy for all your help and thumbs up for the great service.